In 1973, a new episode of Columbo hit the NBC screens. 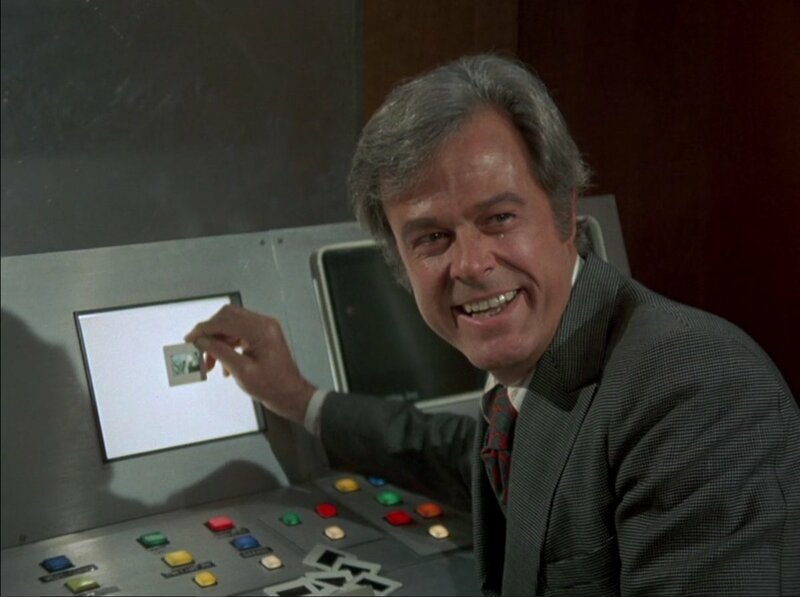 Robert Culp made another appearance, this time as a devious advertising specialist who used his ability to influence the viewers of his advertising videos to commit a murder. The particular method was to place subliminal stimuli into the videos which prompted one person in a selected audience to feel thirsty and leave the auditorium to seek some relief at a public fountain in the foyer. That's where the murderer struck. The use of subliminal messages for manipulation is well known since the 1970s. However has obtained new resonance in our times of fake news and political campaigns using targeted messages. Subliminal cues work by inducing brain processes below a threshold of objective awareness. In other words, they are stimuli which we are subjected to without being conscious of. There is some debate as to their effectiveness. Some research indicates that they are less effective than stimuli above the awareness threshold (those we can perceive as such). But all agree that they are basically a form of manipulation. There is also a clear consensus about what is wrong manipulating people. Manipulating people is not based on the selection of preferences based on human volition and deliberation. Manipulation is in essence a mechanism to avoid what we do when we need to chose, that is to think which options are preferable to us and why. As Hannah Arendt noted, giving reasons for our actions is part of the human condition. Whilst it is a fundamentally flawed process, it is also one that allows others to challenge us and enter into a discussion about the merits and disadvantages of our choices. It is the process by which we relate to each other in mutual respect and recognition of our ability to decide freely in matters concerning the body politic. Arendt was clear about the fact that our public and private deliberations were often flawed, conditioned by a lack of knowledge, poor information, and the like. Yet, she contended, there was little else. Beyond the free and fair exchange of ideas in the public arena was only the realm of manipulation and distrust inevitably undermining the political institutions of democracy and civic liberties. This is where targeted campaigning and subliminal messaging in advertising meet. As the Leave.EU donor Aaron Banks admitted to the Select Committee of the House of Commons, their campaign 'led people up the garden path' (one of those pretty English euphemisms for something loathsome, namely lying). Combined with targeted political advertising, political choices may have become based less on what we know but what others want us to (not) know, a perversion of the notion of choice which is based on voluntary selection of preferences underpinned by an awareness of options and their consequences. As Arendt sees it, it is public civility and respect versus manipulation of behaviour. Manipulating voters in political campaigns is similar to placing subliminal cues in product advertising. Voters do not quite know what they are being told. Where campaigners feel no commitment to be truthful, a basic consensus about our democratic decision making falls apart: that within the boundaries of the competition of ideas, falsehoods should not be part of the arsenal of weapons to defeat your opponent. All electoral laws in the Western world accept this basic principle; there are strict sanctions for those who disseminate lies deliberately in the public domain during a political domain. Targeted political ads however are not illegal and we may want to ask whether our current electoral legal framework is sufficiently robust for the times of facebook, insta and rogue 'news' outlets. In case you wondered, subliminal messaging is illegal in the UK. The BCAP Code defines it as 'misleading advertising'.And yes, Columbo did get his guy in the end. Diagnosis - is the NHS working?